This is the deluxe game. 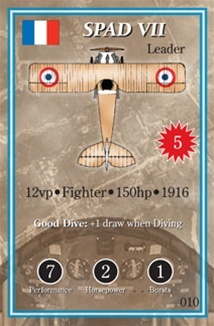 You will need the basic game card deck to play this expanded version. 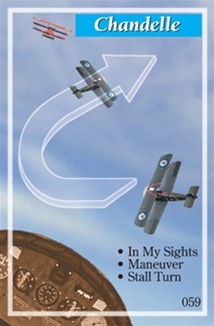 Then you will have everything you need to play single aircraft duels and team play with multiple flights in swirling dogfights. This deluxe game adds rules for altitude, pilot abilities—including a deck of 25 pilot cards for historical campaigns—bombers, rear gunners, scouts and other optional rules. 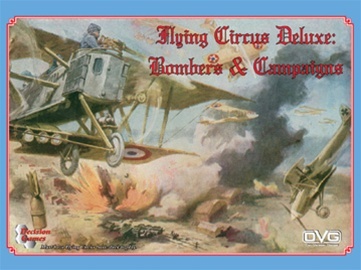 This deluxe game also includes cards and rules for playing multi-mission games of famous WWI campaigns such as Cambrai and Meuse-Argonne, along with a “Campaign Analysis” article detailing the development of the aircraft, their tactics and strategy.